First Year Professional Triathlete Kevin Portmann helps you nail your nutrition and recovery with his top three tips. After a relatively successful 2016 season, winning Ironman Coeur d’Alene and qualifying for Kona for the second year in a row, my wife convinced me to race as a Pro for 2017. So I did and left my full-time 9-to-5 to embark on this journey as a professional triathlete – all in! It is a scary life change; I think to myself, ‘what am I getting myself into?’ probably everyday, but I am enjoying the process. It has been awesome to see the slow, but sure progression. 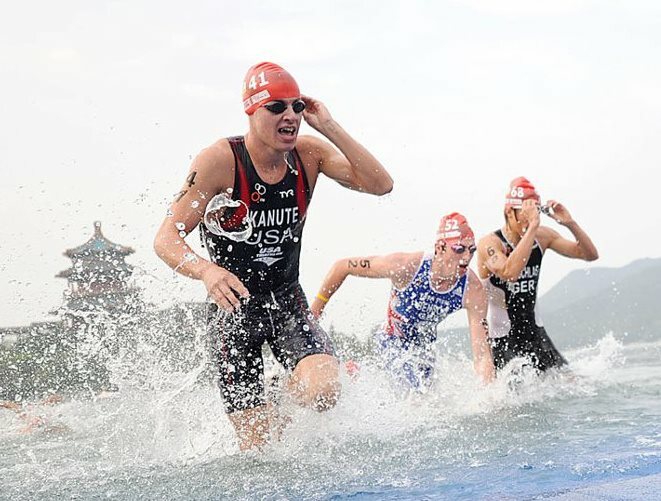 Even before turning pro, part of the adjustments I made in my training regimen was with the unequivocal fourth discipline of triathlon: nutrition. TriSports.com and Klean Athlete have played a major role in my triathlon “successes.” TriSports picked me up on their Elite Team back in 2015 and their support – from gear, equipment, training and race day nutrition, you name it – has been nothing short of incredible. Klean Athlete has been helping me with my nutrition since Coeur d’Alene last year after I decided to make nutrition a priority for Kona. Having raced two Ironmans in five weeks (Canada & CDA) and with Kona only being six weeks after my last Ironman, I knew there was not much I could do to get faster or fitter. However, I needed to find ways to optimize my recovery and dial in my nutrition in order to maintain my fitness, minimize injury, and hold onto motivation. I was fatigued after CDA, and I knew that a fatigued body and mind would have a negative impact on my Kona build. I had to really focus on my nutrition. I decided to work with a certified nutritionist. I have always maintained a relatively healthy diet, eating clean and balanced meals, but what she taught me about fueling myself as an endurance athlete was eye opening. Needless to say she completely changed my diet. She walked me through what to eat, in appropriate portions, and when to eat in order to minimize the stress that training had on my body and get me ready for my next workout. Just as important, if not more, she taught me about how to properly fuel during times of recovery. My nutritionist introduced me to Omega 3s, an antioxidant that helps with inflammation and helps protect joints, and daily vitamin supplements to increase my intake of key vitamins and minerals to boost the immune system. I started taking Klean Athlete Omegas and Multivitamin every morning. I was introduced me to different types of recovery drinks. The recovery powder I used to take had a 2.8:1 carb-to-protein ratio, which especially for an endurance athlete, is sub-optimal. Studies indicate after a hard workout, your muscles are primed and ready to take in carbs to replenish glycogen and give you energy. So she strongly advised to find a high quality recovery drink that offered the necessary 4:1 carb to protein ratio to optimize the recovery process, which Klean Athlete Recovery provides. I forced myself to eat five or six times a day in controlled portions and macronutrients, and started having a recovery drink after each training session, regardless if it was an easy 20-30 minute run or a hard interval set. If my training was longer than three hours, I made sure to take an additional scoop of Recovery in my post training drink. She advised me to take in extra protein with the Klean Athlete Isolate powder 30 to 45 minutes before going to bed. That would give my body a little extra help to repair all the muscle tissues damaged during my training, so the muscles don’t go to bed “hungry” for 8 hours while I sleep. I followed my nutritionist’s recommended plan to the T in my 6-week build to Kona, and the day of the race I felt great, better than I had the year prior, and better than at Coeur d’Alene. I continue to follow her recommendations, and advice, and continue to see improvement in both my overall training and recovery. My body feels ready to go 95% of the time; there are still some training days that take a lot out of me, but that’s bound to happen at some point. Nutrition is a literal science, so there is still a lot I am learning and continuing to adapt to as my body changes. Consistency not only in training but also how you fuel your body is key. Sure, I allow myself to indulge every once in awhile – because what’s life without pizza?! But after a while, fueling your body properly becomes second nature – a lifestyle adjustment, not a fad diet. It also helps to use supplements to complement solid training and nutrition. Klean Athlete can be found at TriSports.com and with their quick order processing, I have a replenished cabinet of everything I need with no hassles. I am one easy online chat away with Eric and Ross from the Trisports’ Customer Service team if I have any questions about the products. They always have an answer even if it means digging for one. I like to keep it simple. With Klean Recovery, I usually blend it with almond milk (mixing it with water does not taste as good), one banana, and some frozen berries if it is hot outside. Sometimes I’ll mix in a scoop of Klean Isolate into my yogurt. You can mix it with almost anything. My wife likes to mix Klean Recovery with almond milk, one banana, a tablespoon of almond butter and a couple handfuls of spinach to get her greens in and you can’t even taste it. I have yet to add either Recovery or Isolate to cake dough, but that is on my experiment list. About the Author: Professional Triathlete Kevin Portmann won Ironman Coeur d’Alene in August 2016 and qualified for Kona two years in a row. Born and raised in a small town outside of Evian, France. Kevin relocated to Carlsbad, CA in 2016 and is loving his new training and racing grounds. Learn more about Kevin and his upcoming races here. Professional triathlete Lisa Roberts has been competing in the sport for over 15 years, professionally for the last eight years. Her triathlon career took root after a solid background of long distance running, which culminated running collegiate cross country and track in Illinois. Roberts focus is now on long distance events, particularly 70.3 and full-distance races. 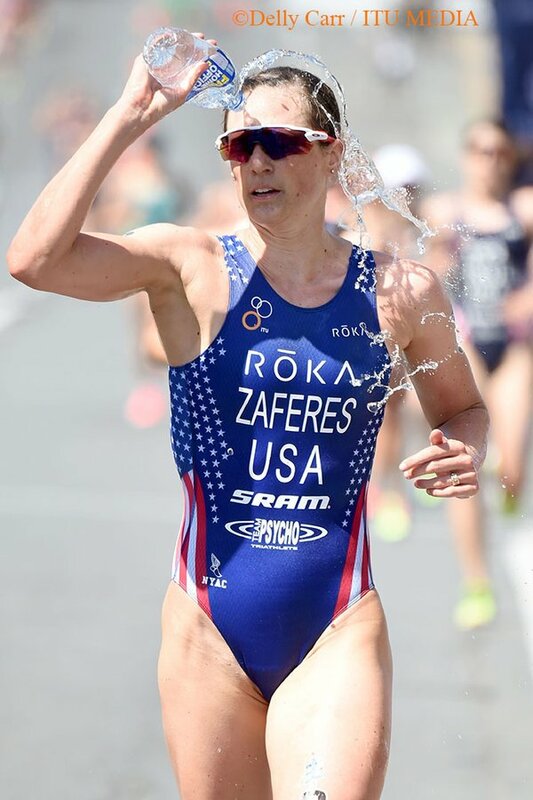 Roberts is feeling good about the 2017 season as she prepares for the 70.3 North American Pro Championships in St. George Utah in early May. 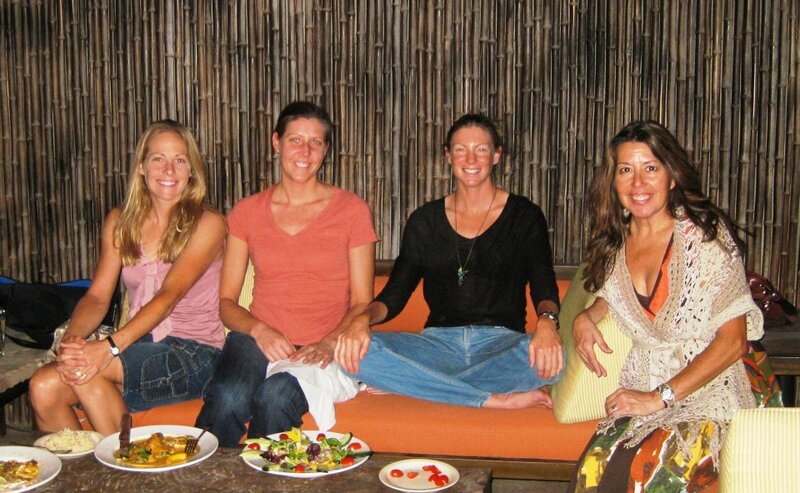 What nutrition strategies do you utilize to guarantee your body has optimal energy? Proper nutrition is every bit, if not more important than the training itself. Without the proper fuel, I have no hope of getting good, hard, consistent training in every day. I am big on meal planning and scheduling so I have the right type and amount of nutrition available whenever I need it – even if I’m traveling or during hectic days of training. How do you achieve your macro/micronutrient requirements in-season? My macronutrient needs shift from off-season to racing season, mainly in the fact that carbohydrates start to play a bigger role in the racing season. In addition, I am always keeping tabs on my B vitamins, vitamin D, K, A & E as well as iron and calcium. Since I am convinced that a vitamin D deficiency played a very big role in my foot stress fracture, I have gotten myself out of that deficit by using the Klean-D supplement and Klean Multivitamin. I also eat a wide variety of fruits and vegetables to get as much as possible from real food. What are your typical pre-, during, and post-race fueling strategies and how do they differ from one another? My pre-race fueling is focused on easily digested carbohydrates and some slower-burning nut butters. Hydration and electrolyte balance is key during a race, as well as keeping the energy coming with simple carbohydrates, so I don’t bottom out or get too far in a calorie deficit. For the long races there will always be a deficit, since we can only uptake so many calories/hour. Post-race is all about recovery and repairing the inherent muscle damage caused by racing, so there will be a greater focus on proteins then. How do you fuel up during training and racing? I make rice cakes with peanut butter & jelly filling and use a variety of gels and other quick energy sources, depending on the workout length and intensity. I add a scoop of Klean BCAA +Peak ATP to my workout drinks and when the weather heats up, I’m sure to take Klean Electrolytes to keep in balance. What’s the most important nutritional advice you’d give to an athlete new to the sport? Your body needs the proper energy before and during workouts so you can get the training in, so don’t starve it of those needs. Practice a variety of nutrition types, timing, amounts and keep track of it during your training so you can figure out what works and what doesn’t. Always go into your training and racing with a nutrition plan – don’t just wing it. What does competing clean mean to you and talk about the clean sport movement? Competing clean is a no-brainer for me and always has been. But, nowadays that means I need to be extra vigilant about where the products I use come from and how they are processed. Products that go the extra mile to gain the NSF certification are a plus for me. I can never make assumptions about the quality of anything unless I’ve done my homework first. How do you mentally prepare on race day? I always sit on the ground next to my bike after I’ve set everything up, close my eyes, and just let the bustling sounds of the transition area buzz around me. It helps to get me centered. 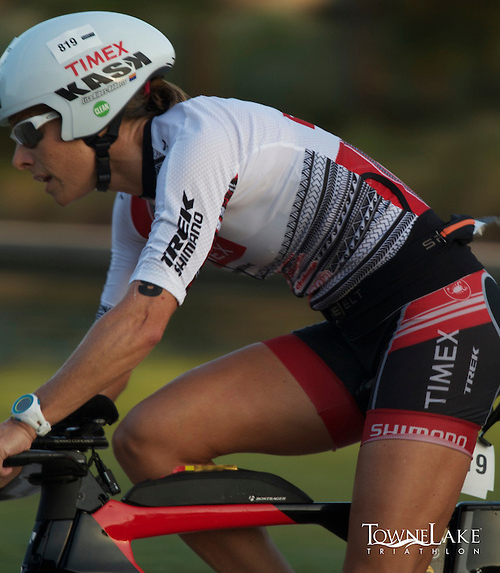 For Lisa’s tips on balancing triathlon, read The Great Balancing Act. What are your tips for getting motivated on the days you’re not feeling it? I don’t focus on getting motivated on those days; it seems too monumental a task at that point. What I do is start simple: that might be just putting my swim suit on or start out the door by walking. Every time I start at the most basic level, I always end up getting on with the workout. What is your most essential piece of training gear? I couldn’t be successful without a pair of comfortable, proper-fitting shoes…and fun socks. Everybody needs fun socks to wear. About the Author: Lisa has been an athlete all her life. 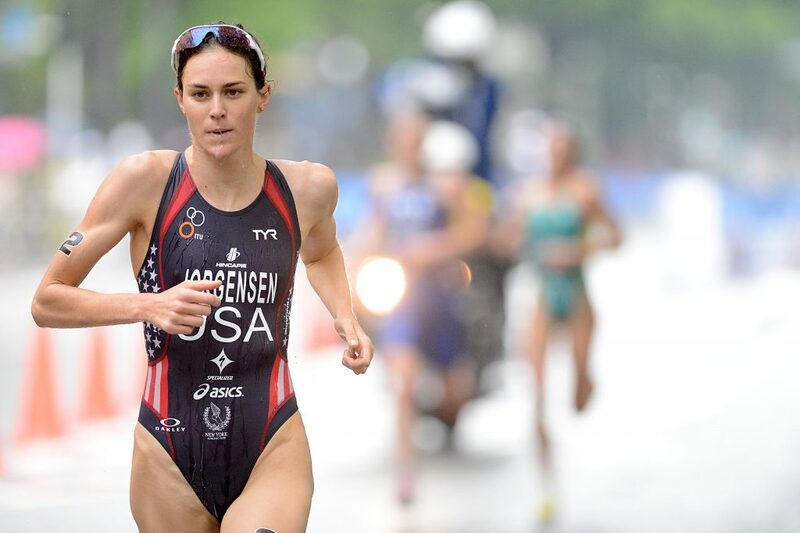 Now a common sight on the triathlon, cycling and running podium at competitions, she is culminating years of hard work and dedication and turning it into results. This leaves only the sky as her limit with the goal of winning a World Championship title and qualifying for the Olympic marathon. Learn more about Lisa Roberts at lisajroberts.com and follow her on Facebook: https://www.facebook.com/lisa.ribes, Twitter: https://twitter.com/lisarobertstri, and Instagram: https://www.instagram.com/lisarobertstri/. The races are done. The sweat sweated. An exhausted satisfaction mixed with uncertain excitement about the upcoming season. But a mandatory break from training and racing seems counter-intuitive. How could time away from your primary sport really make you better? The implication of an “off” season is incorrect; we never stop being athletes. I prefer to think of it as a transition season, a time when we absorb the past year and can organize and prepare for the season ahead. I mean, for this period we can replace training with the way more enjoyable activity of talking about training. Glorifying your threshold power, those 30-hour training weeks, and how close you came to race weight absolutely reinforces your connection to the process of becoming a phenomenal athlete. Begin 2017 feeling re-energized for triathlon instead of just being fatter and lazier than you were a few months prior with these five tips! Every year, I will take a month without any structured training and 4-5 months without any racing. That can seem like an eternity. And it is. While not everyone needs that long, a few months away from the adrenal stress of racing improves the overall quality of your competitions. There is a similar effect for time away from structured training, so the following items detail how I use the first six weeks after my final race to prepare for the next season. By month 5 without racing, there’s a certain amount of… tedium. Joe Maloy left, Greg Billington right. Nothing compares to hours of pedal mashing before redlining a run. Because what is best in life, but to crush your competition, see defeat in their eyes, and hear their lame excuses at the finish line? But racing with that much gusto is unsustainable. We take down time partly for physical reasons, but more to mentally restructure and rekindle the competitive flame for the next season. Take a week to write down the high points of the year: when you absolutely demolished the Group Ride World Championships, swam way faster than that doofus with the shaved chest, or flawlessly put on your race number. Think about how you approached those moments, when they occurred in the season, and what you can do to recreate them next year. If you find meaningful insights, these should be incorporated into your training program. During my transition phase, I’ll also pick up a few lighter activities to maintain the all-important drive to destroy the will and general well-being of my competition. Ping pong is my usual favorite. Badminton, similarly. Also, Scottish shin-kicking. Regardless of what it is, it’s vital to keep that competitive edge throughout the year. The transition season can leave a great deal of free time which wreaks havoc with your normal routine, making it harder to restart training. Immediately replacing the usual shammy time with purposeful activities can help you prepare for a great season. I start habits which I want to keep in the coming year. If you’ve wanted to add stretching, meditation, upside-down dumbbell sit-ups to your routine, now is the time to add it in during the time that you would normally be doing real training, like running. My meditation habits started early. It’s also a great opportunity to incorporate new training tools that can be critical for making improvements. This is when to make the biggest changes to your Bike Fit. That way you have the maximum amount of time to become comfortable in the new position and make any minor adjustments before you risk injury during long training blocks. You should go for runs in new shoes, try out new wetsuits, and take a deliberate look at your training and whether or not you can deal with your coach for another season. Ehhhhhhh, yeah he’ll do for another season. Billington’s Coach Paulo Sousa smiles for the camera. You’ll end up training during those first 4-6 weeks of real down time. I mean, it’s fun. That’s why we’re here. As you do train, though, you’ll need to give your body a break from certain types of training. Specifically, there needs to be at least a good six-week period where you avoid threshold efforts. This is the type of training that can lead to high levels of fatigue and burnout. If you’re going to do any type of activity, it should be long and easy (like a hike) or very short and very intense. You’ll have time to recover from these activities and especially those short burns are a great way to remind you of the fun that awaits in the coming season. This is also the part of the season where you have the time to incorporate strength training. This helps prepare your musculoskeletal system for the demands of repetitive cardiovascular training and reduce the likelihood of overuse injuries. The following are some of my favorite exercises. Obviously cater the duration to your individual fitness level and keep in mind that strength training should never be so taxing as to interfere with your real workouts. Before I start my routines, I’ll make sure to do at least eight minutes of easy cardio, anything from jumping rope to cycling. Beyond this basic level of core fitness, strength training is difficult to incorporate into a program. Attempts to build power and speed through strength training need to be highly individualized. Like life, the off-season is really about food. It’s the time of year you are supposed to be way off-race weight and generally jollier. Literally (figuratively), everyone is about 10% nicer each pound they are further away from race weight. Sadly, a good rule of thumb is to weigh yourself each week and top out at about 5-6% over your race weight. You can pretend this happens because you started a strength program, but this will mainly be due to Thanksgiving and Christmas. It is also helpful to take this time to experiment with new recipes and whatever health fad you feel will power you to that next performance breakthrough. it’s the cage free, gluten free, quinoa encrusted white veal diet this year! Maybe kombucha in my race bottles to aid gel digestion? Here’s one of my favorite breakfast recipes. I put the concoction in a jar the night before and then additional ingredients in the morning if I feel like it. There are many ways you can prepare for a season, but it is easier to find success by picking a few and doing them well. The above are simple ideas, but success is usually found by simplifying complex processes and mastering them. So, good luck, enjoy the transition season, and prepare to smash 2017! About the Author: Greg Billington is a 2016 triathlon Olympian. Billington began swimming, at age 8. He discovered track and cross country in high school, where he ran at Wake Forest University. 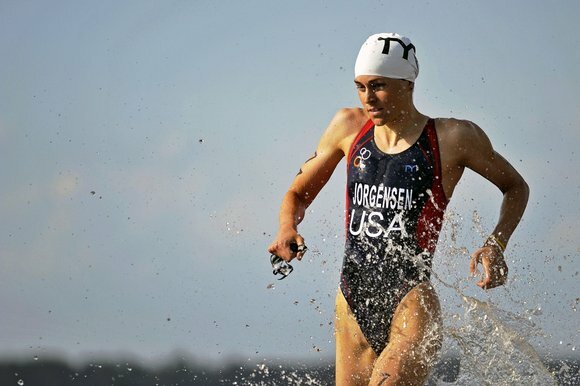 Billington’s first international triathlon competition was in 2006 racing for the U.S. in the ITU Elite Junior Worlds. He is part of the USA Triathlon Project 2016 Squad and coached by the one and only, the USA Triathlon Certified Coach, Paulo Sousa. Giro has been at the forefront of aerodynamic helmet design since creating the Giro Advantage in 1985. Between snow sports and cycling, they specialize in helmet, glasses, and apparel technology. Over the last three decades, they have been perfecting their trade; based on current wind tunnel testing, the new Aerohead series represents the pinnacle of their research, shaving 15 watts off their current Advantage series. As I was preparing for the Rio Olympics and the ITU World Championships, my coach Paulo Sousa and I were looking for ways to save precious time. I invested in ceramic bearings, the nicest tires – when he saw the data on the new Giro Aerohead MIPS Helmet, we decided that we needed to try the product to see if it could be beneficial. I ran it through the paces to see if it could be useful, even during a draft legal triathlon. There aren’t many opportunities for gains from an aero helmet during peloton racing, but when it does play a role, it is critical. The helmet is one of the fastest on the market. I wasn’t going to a wind tunnel, so with that as a given, my primary concerns were with transition time and cooling, although I also took into account comfort, safety, and looks as well. If you don’t look fast, you aren’t doing it right! This helmet was designed with triathletes in mind. The visor can be stored in a flipped up position, which makes the helmet easier to put on. I practiced my transition a number of times, but had no issues with this stage of transition. The helmet buckle is slightly small, but with practice this is fine for T1. It takes practice to perfect putting the visor on with one hand while cycling; as with many things, the effort is worthwhile. In Cozumel, the race was so hot that I opted to race without the visor and use glasses instead. The vented holes in the Aerohead MIPS Helmet were perfect for inserting my glasses into, so I could put these on during the race and not waste time in T1. At the Cozumel Elite World Championships, I had the fastest ride and made the swim/bike breakaway with seven other athletes. The helmet was critical during the first three minutes and in maintaining and increasing our advantage to 90 seconds over the 40k course. I was about 12th out of the water and needed to make up about 10 seconds before the breakaway was established. The helmet cannot be discounted as I was the last athlete to make the breakaway, ahead of four athletes who exited the water before me. Photo: Viviane Sloniewicz Greg looks fast, so he must be doing it right! I was impressed with the amount of ventilation this helmet offered. The four vents deliver a powerful flow of air while cycling. Both the Rio Olympics and the Cozumel World Championships were very warm races; Cozumel was 80-90% humidity and 80+ degrees during the bike ride. I opted to remove the visor to maximize cooling, but during training I felt good both with and without the visor. The brow pad is made out of a hydrophilic material, in order to efficiently wick away sweat and enhance cooling. It is, however, 14% warmer than the Giro’s Air Attack Shield, so take that into consideration if you are easily affected by the heat. There is a significant amount of extra visibility when using visor instead of glasses. When wearing glasses, I have sweat build up on the lens about 45 minutes into most rides, which obscures my vision. Obviously, that was not an issue with the visor. It also provided more shielding so I was not constantly bothered by the usual cycling wind noise. The visor is also cleverly designed so that it can be stored or placed in transition in the flipped up position. Among other benefits, this helps protect it and save space during travel. The Aerohead MIPS Helmet is made with cutting edge technology. MIPS, multi-directional impact protection system, refers to the plastic insert designed to distribute force during side on impacts. This version is constructed with a polycarbonate shell and strong magnets so that the visor is always safely attached. Even still, compared to other helmets of similar aerodynamic quality, I prefer this design. It eschews an extended tail or excessively rounded shape. If this design had initiated its category of aerodynamic advancement, perhaps we triathletes would not be ridiculed for this aspect of our obsession with speed, however, the shaven legs would probably still be an issue. This is the best helmet I have used, maybe in a class of its own. In aerodynamic testing, it significantly improves over almost all aero helmets. In transition it is fast and, with a bit of practice, has the potential to be very fast. The venting, while minimal, is effective and well designed; I felt good competing in the sweat box that was the Cozumel World Championships. The $250 price tag is competitive and if you are trying to save watts while staying cool, there is every reason to invest in the Giro Aerohead MIPS Helmet. The 2016 Paralympic Games are drawing near, soon to debut the Games’ first Paratriathlon at Rio. 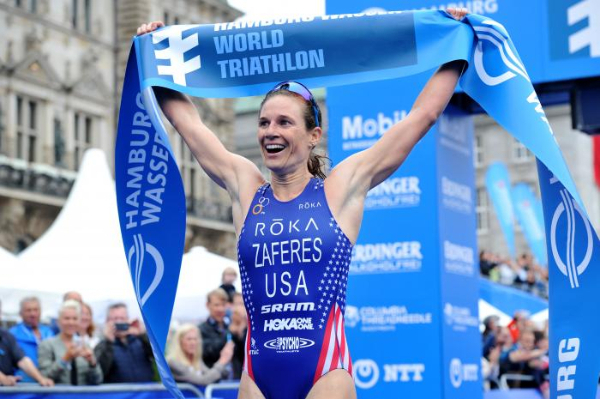 Allysa Seely, Paratriathlete, is a two-time world champion for 2016 and 2015. Seely competed in her first tri in 2008 as an able-bodied competitor. However, shortly after her first competition, she began to develop what would later be discovered as neurological symptoms, which started a long, two-year journey to finally get a correct diagnosis. Seely faced the tough decision to have her leg amputated below the knee as her neurological injuries became more problematic. But not long after after her amputation, a mere seven weeks, she was back and competing again. What has been the biggest positive influence and motivator for you despite all the challenges and curve balls you’ve faced? My motivation has been completely internal. I loved running, triathlon and being active before my diagnoses and from day one I wanted to get right back out there. Sport is my peace, my calm, my meditation—you may say—everyday I do it for the love of sport and for myself. In 2010, doctors gave you not one but three diagnoses, Ehlers-Danlos syndrome, Chiari II malformation, and basilar invagination; did you struggle at all to find the strength to prove to yourself (or the professionals) you were capable of anything you set your mind to? Once I finally had a diagnosis—I waited over a year and a half for a correct diagnosis and treatment—I was ready to take my life back. I never doubted I would be participating in or competing in the sport I loved again. I did not get back on the bike, back in the pool or put my running shoes back on to prove anything to anyone, to motivate or inspire anyone. I got up and got out the door to take my own life back… To find my happiness again. To live a life I loved once again. What are the biggest hurdles you face and how do you overcome or work around it? I think the biggest hurdle I face, currently, is my neurological condition. It is constantly changing and I am constantly trying to stay one step ahead of the chronic pain, the muscle impairments and the multitude of other symptoms that rear their ugly heads. I have always been a person whom strives for my very best in everything I do. I have always chased my dreams and known that life doesn’t come without bumps in the road. I have adapted to the obstacles put in my path. None of that has changed, except for the size of the obstacles. How do you feel about representing the US in the debut of Paratriathlon in the 2016 Paralympic Games in Rio? I am honored to be one of the first athletes to race triathlon in the Paralympic Games. It is going to be a historical day and to be apart of that is unbelievable. To race under the United States flag is a dream come true. What are you doing to prepare for the Paralympics mentally and physically? I am training everyday under two amazing coaches. Over the past two years I have worked to improve my weaknesses. I have also been working with a sport psychologist to make sure I am as prepared mentally as I am physically. What has been the best piece of training advice? Listen to your body it knows more than your brain. Do you have any favorite training gear or tools that you like to use? My favorite swim training gear is the Finis Tempo Trainer. With guidance from my swim coach it has helped me to reach a new level of fitness in the swim. What is the hardest training session that you have logged to date? That is a hard one, I have had one in all disciplines that I can think of, but if I had to choose one it would be 8×800 starting at race pace and descending each interval pace by 20 seconds. How does nutrition influence your success? Nutrition is as important as having a good training plan. I learned that early on if I wasn’t eating enough or eating properly, my training and especially my recovery suffered. How do you get motivated on those days you don’t want to get out of bed? I always tell myself that I have to get up and get through my warm up and at that point if I am still tired, not feeling well or whatever it is, then I can be done, but by that point I usually feel great and am so glad I got up and got started. After the Paralympics, what are your next goals? I will be taking a few weeks off and enjoying some vacation with family. Then I will be running my first half marathon in January and I am looking forward to planning my 2017 season. Yes, but they wouldn’t be a secret if I told you… now would they?!? Okay if you really want to know I can put my feet behind my head. Melissa Stockwell is used to being first. In 2004, Stockwell was the first American female soldier to lose a limb in Iraq. Then in 2008, she became the first Iraqi Veteran to qualify for the 2008 Beijing Paralympics, representing the US Swim Team in the 100 and 400 freestyle, and 100 butterfly. Two years later, Stockwell entered the world of Paratriathlon, and she has not looked back. She took the sport by storm, crossing the finish line first at the 2010 Paratriathlon World Championships, presently a three-time World Champion. And now, Melissa Stockwell is preparing herself to compete in the first Paralympic Games to debut Paratriathlon. Being at Walter Reed, what was the biggest positive influence and motivator for you? Walter Reed is a very powerful place. When I was able to look around and take in my surroundings I saw so many other soldiers worse off than I was; missing multiple limbs, their eyesight, TBI’s (a.k.a. traumatic brain injuries). It put things in perspective, realizing I was one of the lucky ones only missing one leg. Instead of seeing the devastation, I chose to see the resilience we all had and that inspired me. Were you confident that you would continue to be an athlete? I needed to let my body heal first before I thought about being an athlete. But once I learned to walk and realized I could be independent, being an athlete was next on my mind. When I heard about the Paralympics it was a new dream that somehow, someway I was going to be a Paralympian. As soon as I got back in the pool and out on a race course, my competitive spirit came back quick. I am so proud to live a life of athletics with just one leg! It’s amazing and I am so thrilled to be a part of its debut! To show the world what we can call do on the World’s biggest athletic stage is such an honor! What are you doing to prepare for the Paralympics? I swim, bike and run A LOT! I train 2-3 hours a day and recover 1-2 additional hours so it is a part time job. Mentally, I work with a sports psychologist and we work on keeping my mind focused and in the moment. The mental side of things is just as important as the physical side! What has been the single best piece of training advice? To take things day by day and to trust the process. After the birth of my son 20 months ago, it was easy to get discouraged when I compared my times against my competitors. I had to learn to be happy with my small progress day by day and ultimately it paid off! At Rio, what are you at most looking forward to? Representing the greatest country in the world with my USA uniform! That and having all my hard work and sacrifices over the past 2 years pay off. I can’t wait to hug my family at the finish line. I didn’t get to Rio on my own, it was a team effort. Out of the disciplines, which one is your favorite? I love the water so swimming is my favorite. But I’ve been working hard on the bike and have learned to love it as well. I really love all three! Do you have any favorite training gear? I am obsessed with my Garmin 920XT, almost to a fault. I simply can’t do a workout without it! I don’t use anything special for swim training. The standard pull buoy, paddles and fin (just one) are used often. What is the hardest training session you’ve logged to date? Probably a track workout. A few weeks back I had 8×800 descending paces and my heart rate was at an all time high. Brick workouts can also be challenging but the hardest training sessions are typically my favorite. Nutrition plays a huge part in my training which is tough because I have a big sweet tooth. I try to balance my protein, carbs and healthy fat depending on my workouts that day and the following day. I feel better and my workouts are on track when I eat healthy. My favorite post workout snack is a Chobani yogurt, it’s tasty and packed with protein! How do you get motivated on days you don’t want to get out of bed? I look at my son and that gets me going. I want him to see his mom with big dreams so that he grows up with big dreams of his own. Stockwell speaks to wounded service members at the annual Paralympic Military Sports Camps. My husband Brian and I would like to expand our family so that will cover me into next year. After that, I’m not sure! I know I will always compete it’s just a matter of deciding what level I want to compete at. I am 36 years old now so another 4 years isn’t out of the question. I would like to get more into coaching continue my motivational speaking career. What are your hopes for Dare2tri Paratriathlon Club you founded? Dare2tri Paratriathlon Club is one of my proudest accomplishments. We help youth, adults and injured service members with a physical disability get into the sport of triathlon by providing coaching, training, adaptive equipment and more. The confidence and self worth our athletes gain is immeasurable. We have become one of the nation’s leaders in Paratriathlon and we’ve grown larger than we ever imagined. Our goals will be to recruit more athletes to come see what they are capable of and to continue inspiring many. You can read more about it www.dare2tri.org. I can walk on my hands across a large room. And I love handstand contests. I also have an unusual ability to eat a full bag of BBQ chips or a plate full of cookies in one sitting. That’s a talent right? I once ate gummy works the night before a race and had the race of my life. So now I try and eat a few gummy works the night before every big race. Rio-bound triathlete, Joe Maloy, shares his practical training philosophies in preparation for his Olympic competition. 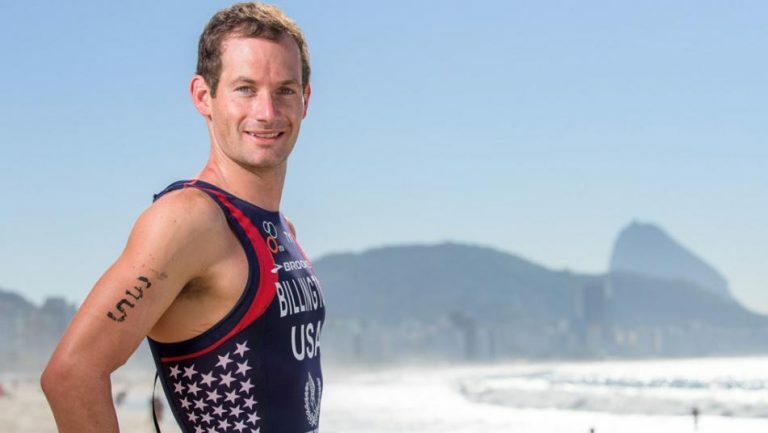 While Maloy’s training is serious as he readies himself for Rio, he still manages to keep it light and have fun doing what he does, competing as the top-ranked American triathlete. What are you doing to prepare for the Olympics? I don’t separate the mental training from the physical training. When you’re properly training, the two go hand-in-hand. Even though competing in the Olympics presents a bigger opportunity than any other race, my preparation needs to stay constant. I cannot be anything more than who I am, Joe Maloy. Leading into the Games, my preparation will continue to focus on the goal of being the best Joe Maloy that I can be. “Have fun.” The process of working towards any goal is critically important. If you’re not remembering to have fun along the way, then you ought to do something else. What’s your favorite training gear? I’m very careful about the tools I use during training. It’s important for training to be an expression of yourself in some unique way. Training tools should not dictate that action, but rather guide the expression in a more focused, deliberate way. I make all of my equipment choices based on this criteria. That being said, my favorite training tool is a running stick. Oftentimes, I’ll pick up a fallen twig, snap it in half, and run with a twig in both hands. Having the light reminder in each hand is a good cue for me to think about my arm carriage…which is something I’ve been working on over the past few years. Plus, it’s kind of fun to spend the first few minutes of a run scanning for good sticks! I’m picky…no sap, nice and smooth, just the right width. I think training is hard (and effective) because it is repetitive. No one session is really all that key, but rather it’s the cumulative effect of weeks of training strung together. Every January and February, my training group (The Triathlon Squad) does overgear bike exercises on Bandy Canyon (a quiet road just northeast of San Diego). Over and over, week after week, we’ll go up the hill a prescribed number of times. By the end of this training block, I’m usually toppling off my bike at the end of the reps. Which of the three disciplines is your favorite? I know I’m in the minority here, but I don’t think of triathlon as three disciplines; it’s one race. That mindset is the strength that I’m going to capitalize on in Rio. I’m not going to rely on strength or weakness in one discipline or another, but rather capitalize on the magic that happens when I string everything together over the course of an hour and 45 minutes. How do you get motivated when you’re feeling unmotivated? I accept that I’m not feeling very motivated and go from there! The key is not forcing an unwanted change in attitude, but rather acknowledging that attitude and going from there. If you’re not motivated to work towards your goals…why aren’t you? Do you need to change the goal? Do you need to change your methods? Do you just need another cup of coffee? I used to think nutrition didn’t really mean a whole lot. I subscribed to the “If the furnace is hot enough, it’ll burn” nutrition plan. As I’ve grown in the sport, and some maturity has helped, I’ve come to look at food as medicine. It’s something we put in our bodies to achieve a desired affect. After the Olympics, what are your next goals? How do you think your preparation during this Olympic quad differs from last quad? The biggest difference between this quad and the last one was first my Olympic preparation. Last time around I was simply happy to be an Olympian, to be apart of the Olympic experience. Then when I finished a very close 4th place, it made me realize that I was a potential medalist. Does it help to know so far in advance that qualified for Rio? We are incredibly fortunate in triathlon, in that, we have an opportunity to qualify a year in advance of the Olympics. In 2012, we had a similar qualification process, and I also qualified a year out. I have realized the value of having a year to prepare for the Olympic Games. It gives you time to process your qualification, to have a nice off season. Then, slowly and gradually, build into peak fitness for the Olympics. Some athletes are able to sustain a really high level of competition throughout the year, I’m the kind of athlete who does well with one specific peak. How are you going to balance the atmosphere of the games this year but also being prepared for your event? One of the things I learned from 2012, is that until my race is over, it’s strictly work. So I’m going down there and up until my race, I’m there to do my job, which is to represent myself as an athlete to the best of my abilities. After my race, once I take a shower, and I have a snack, and spend time regrouping after the race…after that, then I get to enjoy the Olympic experience. Now obviously you get a little taste of it when you’re racing because it’s hard to escape the excitement of the Olympic Games during your competition…but I’m definitely looking forward towards the celebratory part afterwards. Do you have any personal goals for yourself that you are trying to accomplish at the Games this year? It’s very strong field, and going to be an incredibly hard race. So I can’t go down with any sort of expectation for results. I do want to go down there and race like as if I am a medal contender. I want to be in the mix, I proved to myself in 2012 that I’m capable of being in the medal mix. Whether or not I come back to New Hampshire with an Olympic medal, that only remains to be seen based on how other people race. If they are better than me on that day, there is not a lot I can do, but if I put everything into the race and put myself into the medal mix, I would be pretty happy. Since the 2012 Games, what have you learned from that race and how are you applying it to your training for Rio? I have just gotten stronger, and I’m better. I’m trying to move forward in all three sports, but also I have become a better racer. I think that is the biggest difference in that, going to 2012, I didn’t have that much experience racing for a major podium. Where now, I have a few years under my belt, I have been able to get some podium finishes. I have been in the mix for medals at races. That is the biggest difference- that I have a little more experience with being a medal contender. How is training different because you know you can now be a medal contender? It’s all mental. My training going into 2012 really isn’t different, in the big scheme. For my training going into 2016, so much of it is visual representation, so it’s intense as you train. It’s not simply just going out there and doing the training, it’s going out there with a specific purpose. For me, that’s obviously to race to my best abilities. There are times where I’m doing a specific track session and I imagine the finish and being in the medal mix. Hopefully putting myself through series of those mental dress rehearsals over the last few years, allows me to be more prepared for the race in August. How do make sure you are holding onto that confidence when you don’t have a bunch of races and podium finishes leading up to support it? The confidence comes from the training, the preparation. One of the good things about being a more experienced athlete is that you know that the results don’t necessarily reflect your abilities. I have gone about my training a different way to be able to peak for August. Sometimes, we have to remind ourselves the long term perspective instead of getting caught up in what my last results were. How does the Olympics in London differ from the Olympics in Rio? It was harder to make the Olympic team this time around for the women and men. USAT has done a really good job with the college recruitment program, identifying talent on the women’s side and cultivating talents. Both Gwen and Katie are products of that program, quite a few of the other up-and-coming athletes have been identified and are brought up through this program. So I only expect this is going to continue to happen. It’s really exciting to be apart of a women’s Olympic team that is so strong. We push each other to succeed and I know that I had to find something special last year in order to qualify because I knew how strong the other women were. Having that level of performance, I suspect that we are going to continue to see really good results. 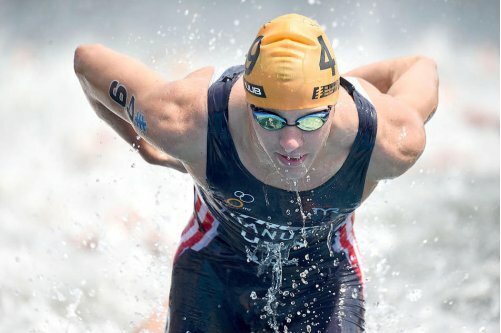 TriSports.com had the opportunity to talk with Greg Billington, the 28-year-old Spokane, Washington native, about his preparation for the Olympics. The first-time Olympian has been training with Joe Maloy, both coached under the watchful eye of Paulo Sousa. How are you getting prepped for Rio? The training for Rio is no different from how we prepare for any other race. Every day Paulo Sousa expects me to bring my best to training and that’s the same if I’m training for a continental cup or the Olympic Games. The course in Rio will present unique challenges, so we’ll alter our training to prepare for the heat and the hills. I’ve been working with a sports psychologist for a few years, and I’ll continue working with her as Rio gets closer. The most important things will be to stay relaxed and focused on executing my own race. As we grow as athletes, we’ll always face new challenges and many of the practices which make us successful early on aren’t going to be the ones that makes us successful as we progress. The best advice I’ve received is to fully commit to the decisions I make each day. Fully committing leaves no room for doubt, allowing you to stay utterly in the moment during racing and training. That has allowed me to develop as an athlete and person in order to arrive in Rio as the best possible version of myself. I’ve wanted to become an Olympian since I won the 50m fly at my under 9 county championships back in 1998, so the only thing on my mind is representing the USA at the most important sporting event in the world. While we have our plans going into every race, it’s vital to be adaptable. There are a thousand ways the race in Rio could play out, but I know that the swim will be all out from the beginning and that there will be a lot of people who want to ride extremely hard to break up the field. I’ll be sticking to the same plan I always employ – red line from the beginning and hang on until I cross the finish or die, whichever comes first. We do a lot of work with floating fins in the pool as well as with a variety of paddles. Probably my least favorite tools are ankle bands and parachutes. They’re extremely effective at improving my swim, though, so I guess I like them conceptually, even if they’re absolutely miserable in practice. At the triathlon squad, it’s less that we do individually hard workouts than we consistently do very hard days. It’s all about keeping the pressure on and making sure that we stay on top of our recovery so that we can perform every day. We’ll do 10-12 x 1k repeats on the track as well as a couple k’s of threshold work in the pool, but the biggest challenge is making sure that immediately afterwards I’m always eating within 30 minutes and doing the foam rolling and strength exercises so that I don’t break down from the heavy load. Ben Kanute is no stranger to hard work. Growing up in a family of triathletes will make one accustomed to weekends of training and racing. Both of Ben’s parents competed in ultra-distance triathlons and his siblings participated in junior triathlons. Choosing the prestigious college prep and military high school, Marmion Academy, was one of the many decisions Kanute would make that would ultimately lead him to his road to Rio. Although his disposition is humble and unassuming, you can sense the overwhelming ambition lurking just below his composed demeanor. On his way to his first Olympics and competing as one of the youngest athletes in the field, Kanute will continue to be a rising star in the sport. I’m just trying to do the same thing that got me here, doing the same types of workouts. I work with a sports psychologist and I guess all the confidence comes from doing consistent hard work. We are not making any huge changes because I qualified in May and the games are in August, so it’s not a whole lot of time to go out and try anything new, so I’m sticking with what works. There is so much; it’s an accumulation of all the different advice, but probably the best is consistency. It’s just being able to consistently put in the hard work. Back when I was a junior on the team, you would always look forward to training camps, where you put in this big block of work. That is all good and fun and some people still do that, but you want to able to consistently put in good hard work over a period of time. That’s what makes you better. It’s just like racing; you want to be able to consistently put up results again and again, instead of being up and down. How has this season been overall in regards to any injuries or burn out? This season has been great. I feel like I have been the most consistent than I have been in a long time. Last year, I struggled a little bit with consistency. I was living in Santa Fe at the time and for me it was like being at one big training camp. So it was a little too much triathlon all the time, so I decided to come back to Tucson, Arizona. I just found that this has the best balance for me. I think the entire experience; I just want to soak in everything. I got to go down there last year for the test event to see the course and race on it. That was one of those races where nothing went well for me. It’s my first Olympic Games; I want to soak in the city, the atmosphere. It’s such a huge stage; I want to make sure I make the most of it. Are you going to be employing any new race tactics or are you sticking to what has been tried and true? It’s the Olympics, so I mean if anything strange happens there like a break out performance, it might as well happen there. But my racing has pretty much always been the same thing, to go hard on the swim, bike, and then try to follow it up with a great run. I mean a hard race suits me the best, that’s what I’m hoping for, and that’s what I’m expecting for sure. Do you have any favorite training swim gear or tools that you like to use? I keep it really simple. I have paddles that I love to use, I love to mix it up with the pull buoy, but I’m not a huge fan of kicking- so I use the kick board pretty sparsely. Recently, I have been training with the Ford Aquatics team and they do a lot of kicking, so I have been using it a little bit more. In the past, when I was growing up, we used everything from paddles to snorkels and fins. I have even trained kicking with tennis shoes on in the pool. One of the hardest training sessions is the Micro Burst Set. You can do this running or riding, where you’re going 40 seconds on and 20 seconds off for a period of 10 to 15 minutes, but for those 40 seconds it’s all out, like 100 percent go. That one is always one that I know it’s going to hurt really badly. This is always a hard question. I like all of them, that is why I do triathlons because it switches up and keeps me interested. I bounce from one to the other on which one I enjoy doing more. Traditionally, my strengths have been the swim and the bike, but I feel like my run is coming along and becoming just as good as the others. I feel like I’m becoming better all around. At that point, if I’m not prepared to go out and get it, it’s still my job. It’s the same reason why everyone else has to get out of bed and go to their job that they may or may not like. I may not love triathlon every minute, but you have to put in the work. I’m working towards a goal. I reached my first goal of going to the Olympics. Now the next is to compete well in the Olympics. So I have that going for me right now for the next month or so leading up. The goals have always have kept me going, between those and just trying to be as fit as I can possibly be for each race. I watch what I eat pretty closely. It’s a lot of fruits and vegetables, making sure I get enough protein. I don’t really take any supplements or anything like that. I’m trying to get everything from what I eat. I usually monitor my blood panel levels when I’m at really high altitude, if I’m really lacking in nutrition I take supplements then, but usually it’s through a healthy diet. But I still think everything in moderation, like grab a beer with my friend or a cookie once in a while. After the Olympics, what’s next? For long term goals, I think Tokyo 2020. I feel like I’m young and have quite a bit more to improve on, so I’d like to stick around with the ITU stuff for a little bit longer. But I would also like to try my hand at some 70.3 races. I’m not sure exactly what I’m going to do, but it’s a post-Olympics year, so I’m going to try different or new things out. Not necessarily, but I can juggle. I can casually juggle; I guess you could say I’m a casual juggler. I don’t know if I have any specific rituals, but usually the night before races I watch some really bad made for TV movies. Growing up, if I was traveling with my dad we would always look for really bad movies to watch to brighten up the situation. Learn more about Lisa Roberts at: lisajroberts.com. Ever wonder what professional triathletes consider the racing necessities? Our Pro Insider talks with Matt Hanson, Professional Triathlete and Coach, as he prepares for IM 70.3 California. Hanson shares what he is packing for Oceanside. Learn more about Matt Hanson Coaching. Our lives are full of tasks, day in, day out. And that triathlon you signed up for isn’t going to train for itself. While you think you may be at a disadvantage because of your jam-packed lifestyle, it’s actually good to have other commitments and interests outside of triathlon – and you CAN prepare well for a race while succeeding in life. You just have to strike the right balance. Yes, it’s GOOD to have commitments besides triathlon. On one hand, it gives you a break from work and on the other it stops you from over-training. What would I do with spare time on my hands? Probably ride my bike for an extra hour (because it’s gorgeous outside! ), or do another run (because I’m feeling great! ), or hang out by the pool (to even out my tan lines because I just rode for an extra hour!). So, just how do we accomplish ALL those things we’re committed to AND do them well? Create a realistic schedule: use it, update it, live by it. The key to it all. Otherwise, how will you know where you’re going and how to get there? I just finished writing down everything I currently know is coming up in 2016. I put it all in there – work schedule, races, games, family, school, meetings, conferences, travel, birthdays, volunteer time, home projects, deadlines, and so on. Don’t forget to schedule chill time and social time, you know, “real person” time. As you fill up this big calendar take a good look at it. Eliminate what isn’t necessary. Organize and combine what you can. Then you’ll have a pretty good idea how much time is REALISTICALLY available for training. The operative word here is REALISTIC. Create a training plan that fits within your schedule to reach your particular goal. Don’t compare this plan to others. Your life, your goals, and schedule are different. Do this well and you won’t fool yourself into thinking you have more availability and then beat yourself up for not getting things done. I am the queen of honestly thinking I can accomplish a four-hour bike ride in a two-hour time frame. Needless to say, I have ended more than one day in a foul mood because I over-scheduled myself and couldn’t fit it all in. No training plan will be effective unless you are consistent, so plan for it. Organize longer training sessions on days you have more time available. Get up early to get a workout in (if that’s what it takes) then you’re there for family when they get up. Plan ahead, organize your gear the night before, and make sure you’ve allowed enough time for prep, setup, and driving to your session. Smart training is always better than more training. You have scheduled designated times to train; you don’t have the luxury to drag your feet. Get up, show up, get it done, and get on with it! Be in the moment and be PRESENT. Multi-tasking ends up taking you more time to finish a task and doing so will makes you constantly feel unfocused and stressed. If you’re always stressed you won’t have the time or brain power to be able to step back and look at the bigger picture when you need to. Understand, know, and admit that you can’t do it all. Ask for help when you need it. We all need help at times. Then return the favor when you can. Remember that work, family, school stress and training stress are treated exactly the same by your mind and body. Therefore, avoid having important deadlines, commitments, and a huge training load at the same time if you can. Quality will suffer and you’ll be more likely to get injured or sick trying to cram it all in. These should be part of your schedule if you can’t seem to do it on your own. Am I good at doing this regularly? Nope. But I’m better than I was a few years ago. Chances are many of your friends, family, loved ones are sacrificing for you while you pursue your racing dream, so show up if you said you’d be somewhere. I have to actively practice and remind myself of these tips every day. I apply them not only to the bigger picture of the year or racing season, but also to the upcoming week, this day or even to this hour! But I know when I do these I am calmer, more focused, more prepared and ready to go hard on race day! 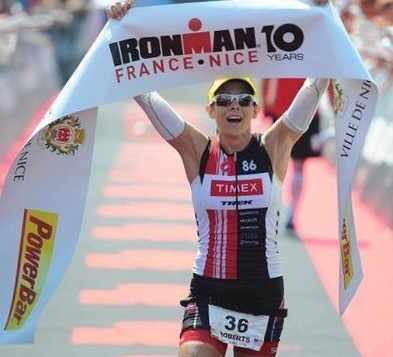 This blog brought to you by former Team TriSports athlete Nicole Ramsbey. Check out her blog at www.nicoleramsbey.com and follow her on Twitter – nicoleramsbey. I raced a sprint tri the other weekend and was not in peak form to say the least. I managed to perform, and perform not too badly, which led me to thinking about a few things. One of the things I started thinking about was how much of triathlon is physical fitness and how much is mental fitness? At this point in the season when you may be approaching your ‘A’ race, now’s the time to figure it out. I guess my first thought was, how many people, when they reach a tough moment, give in to the negative Nancy talk? I hit many negative points throughout racing, but rarely do I “give in” to those thoughts. Say you are coming up on a big hill during a sprint tri, you’re maxing out your heart rate and you get halfway up…what’s the first thing that you typically hear in your head? Is it, “I can’t do this anymore, I have to walk”? If that’s a typical thought process for you, how do you respond to it? If you respond by giving up the race in your mind and walking, then I’d have to say your mental toughness might need a swift kick in the @**. I may get this thought once in a while, but I immediately counter it with a positive thought. During the sprint tri, I had my own mental battle, but I won. Every time a negative thought comes to mind, I always attempt to counter it with a positive. Last weekend when I hit the hill, I had to remind myself that I can do anything for a mile. My responses are almost automatic now, and if yours aren’t they will get to be that way if you continually work at it. I’d say mental toughness is at least half of triathlon…if you can’t handle the mental stuff then the fitness won’t matter. Even though you may not be physically fit, if you are mentally fit going into a race, you can still do well. Imagine the day that you are physically AND mentally fit…you can OWN that day like no other. Don’t short change yourself, and remember it’s not always about how many miles you’ve logged. When I did the Florida 70.3 last year I knew it was going to be hot…really hot. I knew I had the possibility of getting cooked like an egg on the run, so I tried to prepare. I bought white arm coolers that would not only protect my arms from the sun, but add water and “voila!” my own personal air conditioning. I threw water on them and used what I like to call the Torbjørn Sindballe method of cooling (putting ice in your hands and in the sleeves). In addition to the coverage, I lathered myself up with some waterproof sunscreen early in the morning so that it would dry and my numbers wouldn’t smudge (If you try to put it on after body marking it can be a smeared mess!). At the end of the race I ended up buying a white long sleeve top to get the sun off me as I waited for my friend to finish the run. 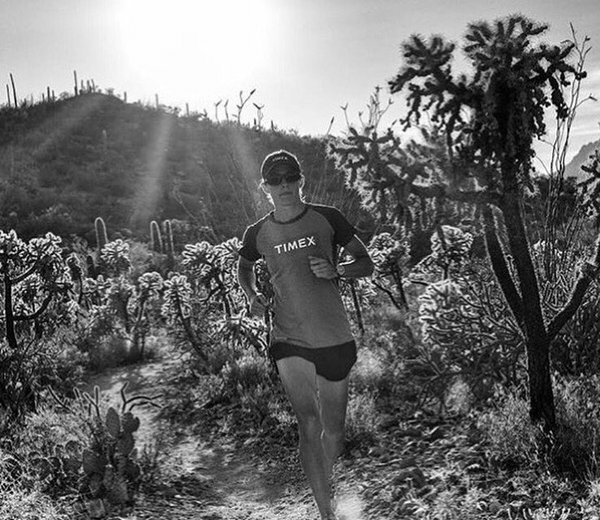 As triathletes, we spend a lot of time out in the sun, training and racing. When World Champion Leanda Cave gets a diagnosis of skin cancer, it’s a wake-up call for all of us. A triathlete friend of mine also got diagnosed with skin cancer last year and I was shocked to learn that she didn’t wear sunscreen. She felt there were too many chemicals in them but she hadn’t researched any alternatives. Since you absorb what’s put on your skin, you do have to consider the ingredients and if you can, a mineral based sunscreen is a better option, especially on your face where your skin is particularly tender. I also use something mild on my face so it doesn’t sting my eyes when I sweat, in addition to a visor. It’s a year round ritual, rain or shine. Wear sunscreen and reapply when you can. Wear a hat or visor. If you have hair, you’ll protect it. If you’re bald, protect your scalp! Go to the dermatologist once a year and monitor any moles or freckles that change or darken. Wear arm coolers for protecting against the sun as well as cooling your body. Bring a long sleeve top for after racing to get the sun off your skin. Remember, white deflects the sun and black absorbs it, so choose your race kit with that in mind. You can still get a tan even wearing SPF 30!